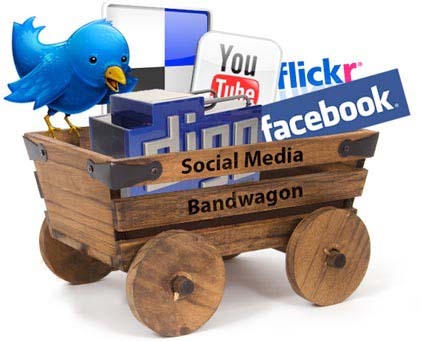 Social media have become an accepted part of a company’s marketing efforts. Around 70 per cent of Fortune 500 companies have a Facebook page and 77 per cent have a Twitter account, according to a study by the University of Massachusetts Dartmouth Center for Marketing Research. The average company spends around $19m on social media a year, according to research group TCS. But at the same time there is a creeping feeling of dissatisfaction – are those social media campaigns producing results? Nate Elliot, analyst at Forrester Research, sounded the alarm on social media advertising last autumn, saying that marketers were less satisfied with Facebook and Twitter advertising than many older forms of digital advertising, including email marketing. Snapchat recently started to include advertisements in its popular ephemeral messaging app, but its advertising strategy is notably different from its competitors’ strategies. Snapchat says it has no interest in tricking its users into clicking ads by blurring the line between advertising and organic content created by actual users. The majority of social media platforms purposefully gather as much user data as possible to help brands place relevant and targeted ads. Snapchat calls that strategy “interesting,” but the reality is that it can it deliver targeted ads? The question is though, would they been better spending a couple of thousand pounds on LinkedIn advertising?. Do high-value customers respond to ads? Even highly targeted ads pushed to them by popular sites like LinkedIn or Viadeo? This covers the two obvious targeting issues: get the right network and target the right users; and then tackle the issue of integration: connect your adverts to your social media presence and engage with the people visiting/connecting with you. I have heard of social media consultants running Facebook ads that, instead of linking to their landing page, links directly to a Facebook Page (or Group). This resonates with the last two points above and makes a tremendous amount of sense – the ad-clicker is already signed into Facebook so they can take action simply by clicking that they “Like” the page. No landing page could get that result in fewer clicks. Nielsen and Facebook recently teamed up to create an “independent” report which highlighted the value of combining “social” with advertising. Unsurprisingly, people responded better to adverts that told them which of their connections “Liked” the company whose advert they were viewing. In summary, social media performs two important functions. The first — and most obvious one — is that it enables participants to communicate among themselves. With the possible exception of LinkedIn, that’s the less important role for experts, consultants, advisors and thought-leaders. The more important role when it comes to marketing is how social media functions as a search engine. People still go to Google to search, but increasingly, when clients are seeking answers to their most vexing problems, they turn to social media. After Google, the second most powerful search engine is YouTube, (which is owned by Google). When clients are trying to discover who the true thought-leaders are in a particular field, they turn to Twitter, Facebook and LinkedIn as the tool for finding who’s at the forefront. If you are not visible, you will not make it on the short list of those who are viewed as experts. Next PostNext Is this a new era for challenges or an opportunity for leadership?